For twelve bucks, you can purchase "domestic violence" anise sage from an online gardening store whose owner thinks offensive always = hilaaaarious. 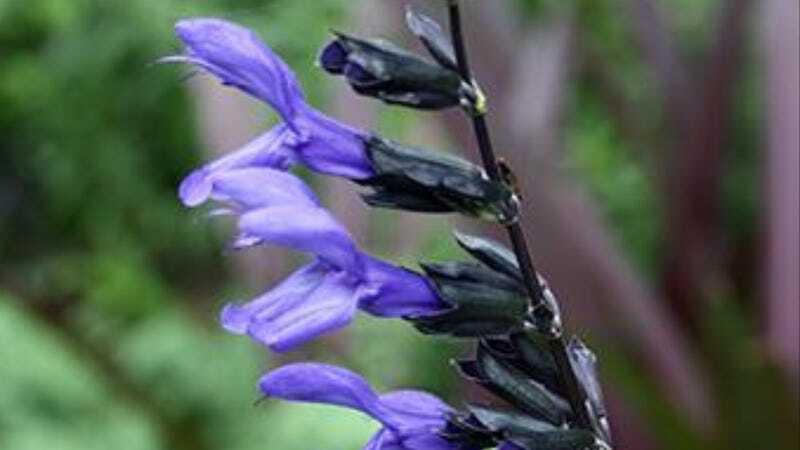 The plant's full name is Salvia Guaranitica, aka "Domestic Violence Anise Sage" — it earned its witty nickname because it's black and blue. It's sold by Plant Delights, an online mail order plant nursery that regularly attempts to low-grade "shock" readers with Mad Magazine-esque catalogs entitled "Garden Jihad," "Gitmo Plants" and "Securing Our Borders." Once the owner was sued by Penn State for mocking Sandusky. They have a "hate mail" page. Customers have been complaining about the salvia's name for years. "...it isn't funny or cute and not a very smart marketing idea," one person wrote on Garden Web's forums in 2005, "and i DO have a sense of humor and am not easily offended." Another person with "a pretty sick sense of humor" wondered if the staffers "don't personally know anyone who has been abused - I'm sure they'd dump the name if they did. Or at least I would hope they would." Then, of course, there's the chill guy with a sharp, well-developed feel for comedy: "Personally I believe that humour is limitless, and highly subjective in any given population or any given time." It's just that cracking jokes at the expense of domestic violence survivors — they're the ones who get black and blue bruises, not abusers — isn't really all that hilarious.